If you’re food conscious, then you’re going to love this idea. A restaurant in Dubai is raising awareness about ethical eating by getting diners to think about the food they order and how not to waste it. The trick? to add an extra charge on their bill if they fail to clear their plates. Gulou Hotpot restaurant in Al Barsha will charge you $13 for any leftovers. But the charge applies to their “all you can eat,” two-hour deal, which costs $13 to order. Additionally, diners who overstay the two-hour time slot are also required to pay an extra $13. The idea is a first-of-its-kind in the region, however, several restaurants across the world have been doing this for a while now. 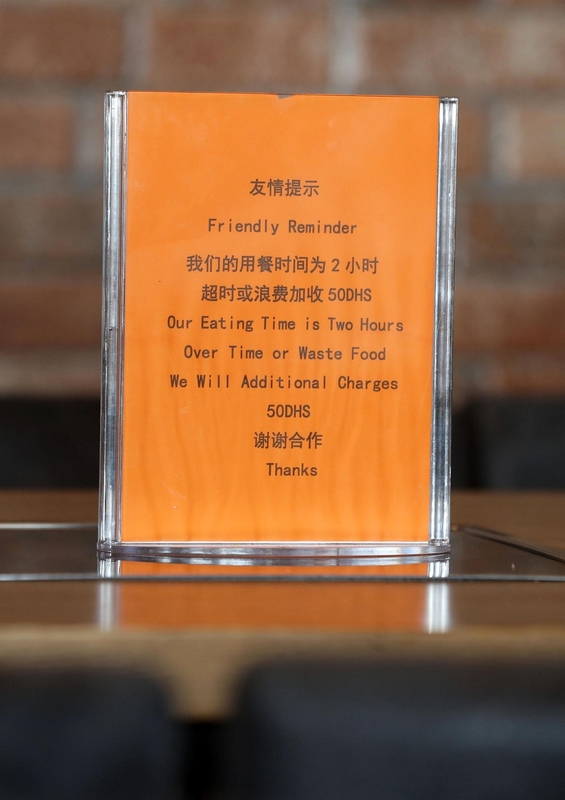 Restaurateur Ming Yang, who owns Gulou Hotpot, said that she enforced the food fee to encourage a healthier approach to eating in the UAE and to discourage food wastage. Yang proudly revealed that the new policy has gone down well with her customers. “We want to show people a healthier approach to food than they are maybe used to here in Dubai,” Yang said. UAE residents produce 2.7 kg of waste per day each, and it is estimated that around $3.5 billion worth of food are wasted by businesses and consumers every year in the UAE, according to the Dubai Carbon Centre of Excellence.